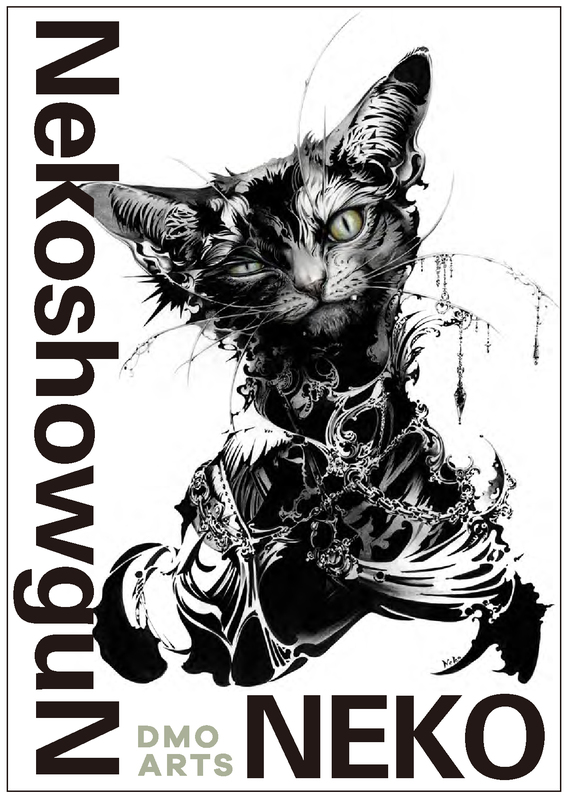 DMOARTS is pleased to announce to have the solo exhibition of NekoshowguN from January 25th to February 21st at DMOARTS gallery on the 7th floor of Lucua 1100. NekoshowguN, the artist who has enthusiastic fans over the world, is known for its toxic and sassy style with rich detail and bold contrasts in black and white. The exhibition entitled "NEKO", that literally means cat, will focus on “the wild nature existing in even a house cat”. Born in Wakayama, Japan in 1982. After attracting worldwide fans on video site, NekoshowguN has presented several solo exhibitions as digmeout project and created including concept arts of game titles and cover illustrations. 2008 “NekoshowguN Exhibition” acrimony, L.A.
2011 Character design for “LOLLIPOP CHAINSAW”, KADOKAWA GAMES, LTD. & GRASSHOPPER MANUFACTURE INC.